UNDER CONSTRUCTION. Located less than 1 mile from 417 in the heart of Orange County, 2881 Econ Landing Blvd. is in the center of it all. 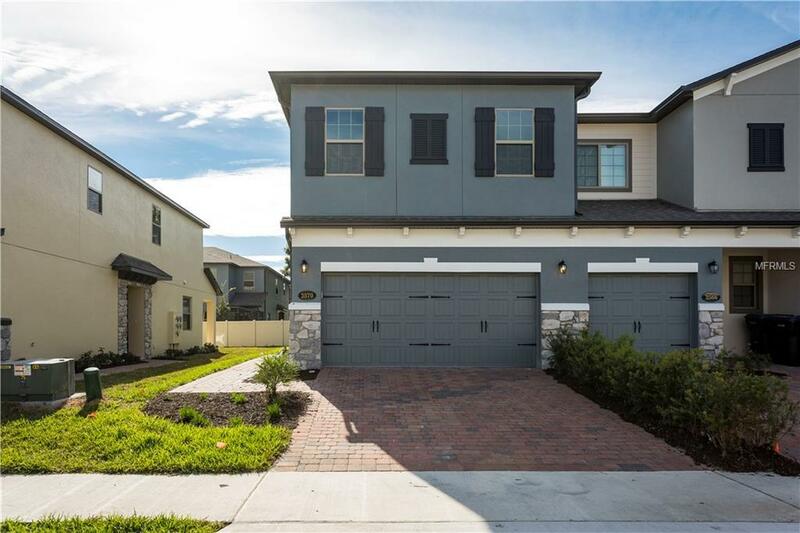 An end unit town home with ample natural light, the San Mateo floor plan features an open first floor with kitchen that overlooks the great room. It is a chefs dream with tile floors, upgraded 42 cabinets, under cabinet light, chic white granite counter tops and plenty of meal prep space. There is a powder room for guests and a covered lanai completes the first floor. Upstairs are three well planned bedrooms and a spacious loft. The guest bedrooms overlook the back yard, while the owners suite is located on the front of the home for privacy. It includes dual sinks, white granite counter tops, a soaking tub, and separate walk-in shower. The San Mateo is as beautiful as it is functional, designed to impress.